It is a rare discussion with Paul that does not involve a new idea, an innovative solution to a clients need or an improvement to an existing way of doing things. I’m sure I only hear of a few such ideas, many more likely don’t make it out of his mind and more again wont make it to the workbench. Those that do find life are usually pretty interesting for those of us into this kind of stuff. Looking through the images and speaking to Paul it is demonstrable that he has built almost every kind of set up imaginable over the years. Most visibly modifying frame and suspension components but also notably in improved engine, gearbox and drive performance. 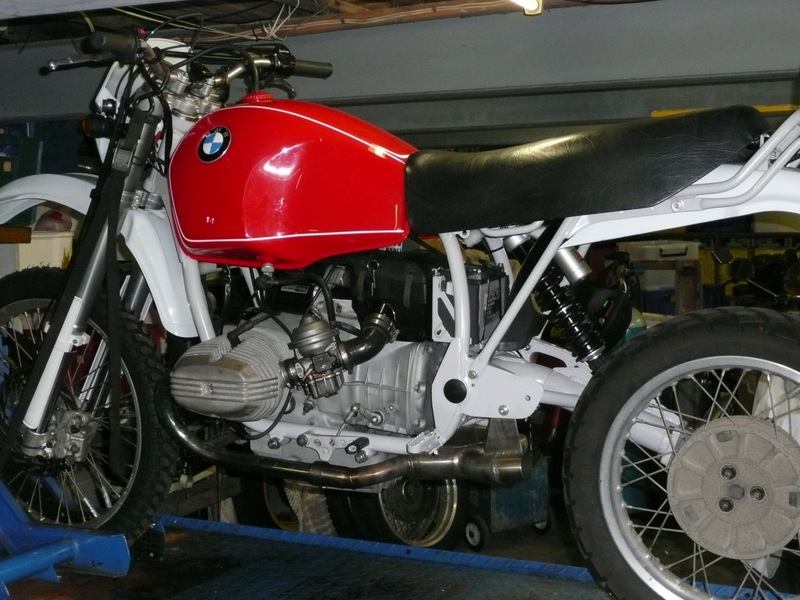 I am focusing here on BMW’s although it is noted that Paul has had much international success with two stroke racing also. Much of this experience has recently culminated itself into a frame of Paul’s own design and construction. It is pictured below. 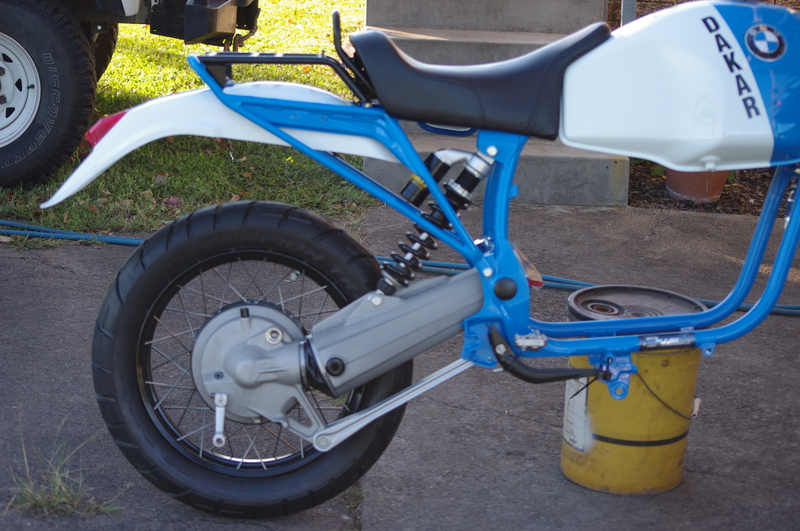 The frame allows Paul to build to a specific geometry according to use, incorporates the air-box in the main frame, resolves some durability issues of the stock frame, allows for easy engine and gearbox serviceability and even saves a bit of weight. The first bike based on this frame was tested by Chris Cowper on tours all over the globe. Paul is now taking orders for more. Here is Chris’ bike just after completion. 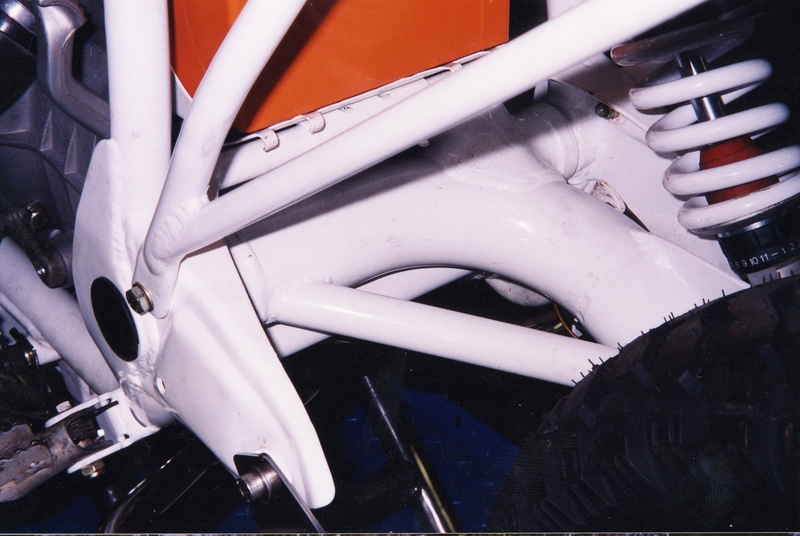 Paul adapted Chris’ frame to the running gear of an existing special. 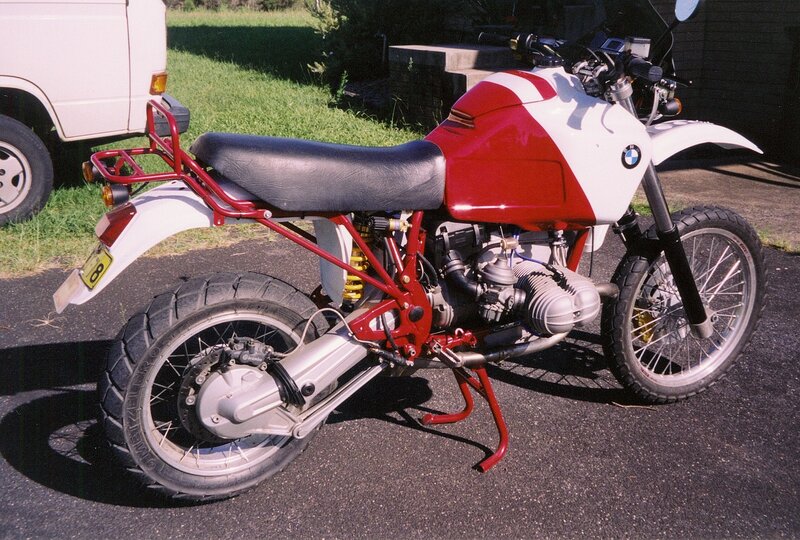 That bike, like this one, used the reinforced r80g/s frame coupled to an extended and reinforced swing arm. The mono lever G/S is still a fine choice for durability, simplicity and ease of maintenance. The image below is an example of a 100mm extension showing reinforcement. Arguably though the paralever set up offers improved ride, feedback and, I have also heard it argued, traction on gravel roads. 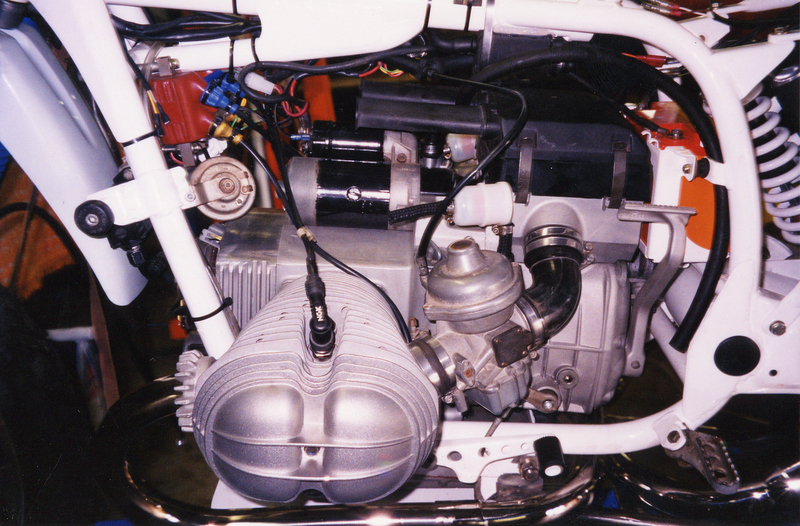 An ‘oilcooled series’ paralever swingarm, mated to the original aircooled 2 valve engine is, for some, the solution for a reliable, comfortable and responsive tourer. The bike below was built for ‘fast’ touring to the satisfaction of the original rider of the Safari race bike shown on the ‘Cycles’ page. Speaking of paralevers, Paul also makes use of the 1100gs swingarm and drive shaft mated to the aircooled gearbox by way of an adapter flange. 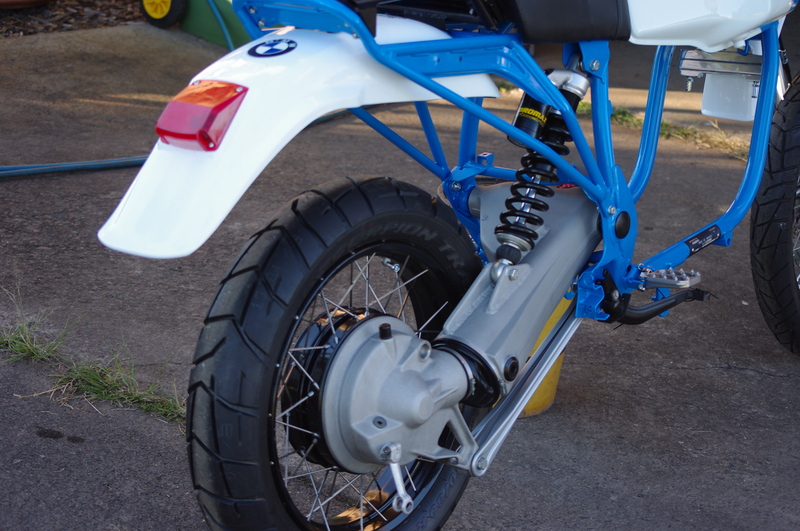 The swingarm is modified to accept the G/S style suspension arrangement with a paralever or even oilcooled final drive. The reasoning behind this is to provide the extended travel (and handling benefits) of the 1100 paralever while retaining space under the seat for battery/tools/ storage that is mitigated when employing the R1100gs swingarm with a centrally mounted shock. The photos below provide example of this set up. You might have noticed the apparent lack of a muffler on the bikes above. 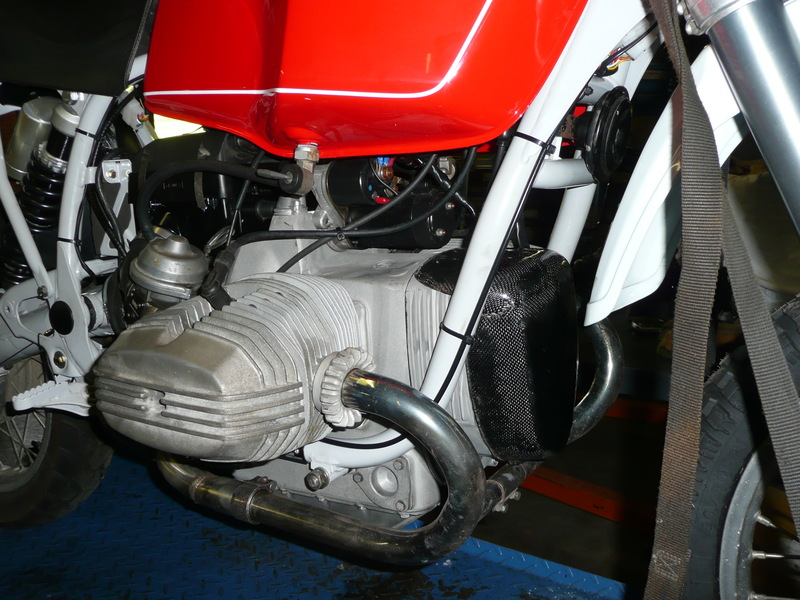 High pipes can be inconvenient for carrying the soft luggage that is often preferred by off road riders, while low pipes are susceptible to damage. Paul’s response to this was to build an integrated collector muffler. It can be seen more clearly on the bike below. 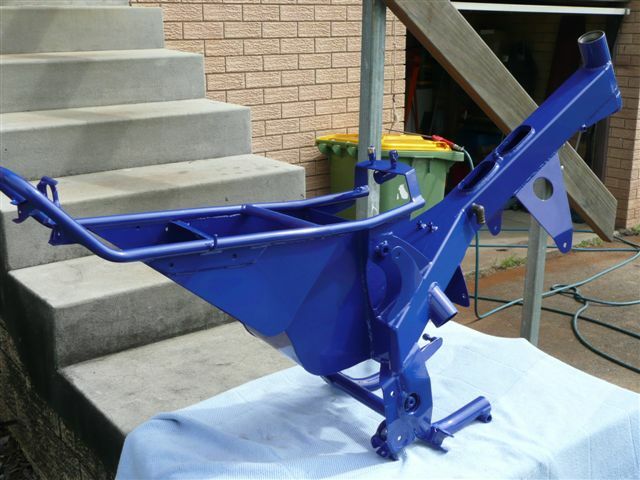 Constructed of 2mm Stainless Steel the muffler has been tested to meet Australian noise regulations. It also, obviously, offers quite a weight saving over the separate collector/silencer set up. Although I am not aware of any dyno work I am told the performance is improved over the OEM system. 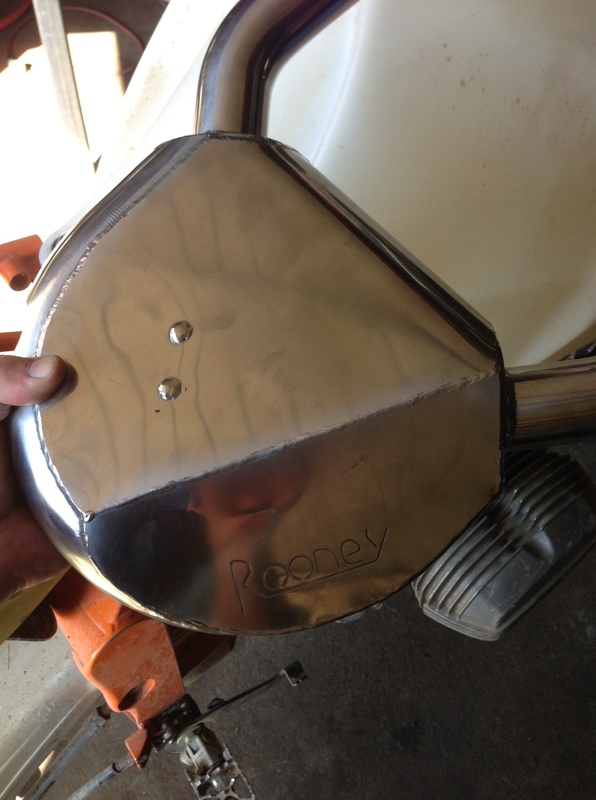 The ‘Rooney Collector-Muffler’ shown below is ready for fitment. The final position of the exit pipe (shown detached) is determined by the frame modifications and owners preference. A recurring theme here is reducing weight without compromising durability. In such circumstances we can see the old and the new come together in billet aluminium (aluminum for you yanks), alloy and carbon coming into play were steel once ruled. Also, on many of the cycles on these pages you can see the starter cover and front housing cut away. The images below examine this in more detail and in one example demonstrate the application of carbon fibre to provide the best possible solution for weight saving and structural integrity. Can i speak to Paul about the possibility of having a bike built? 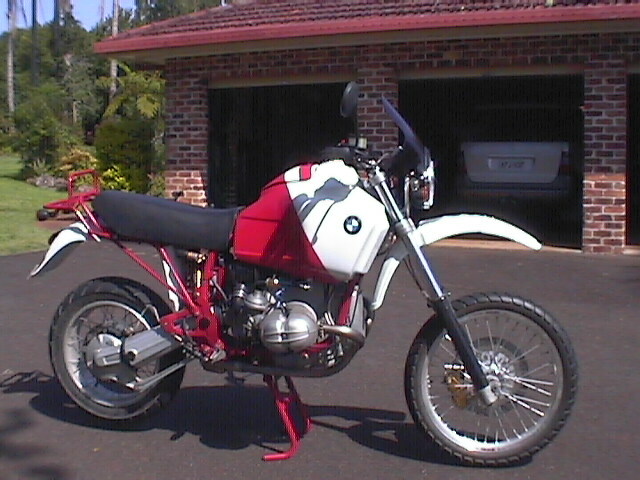 I’m looking for an allroads tourer, (that can be ridden in sand), carry luggage not too much though, and be fast. I ride one up. Absolutely you can. Contact details can be found by clicking on the ‘locate’ tab at top. Too easy huh! Hi Trevor. The carb used depends mostly on the application of the cycle as well as personal choice. After that each is set up according to the requirements of use and specification of the engine and ancillaries. So as you can imagine the ‘set ups’ are many and varied. If you are not a member let me know and I will get neil in contact with you. There are a few sources/types of bash plates. Do you know the model you want? this is… so great. what a brilliant take on the frame! I’ve been reading all these airhead builds for a year and then I find Rooney cycle making the bikes my dreams are made of. and they’re racing across the world? I dig it. Heya Noah. I dig it too! 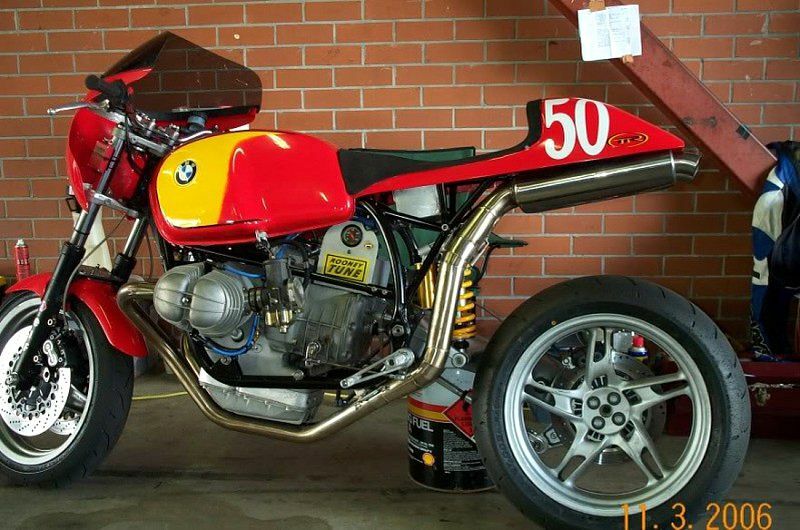 Can you adjust it for the 1100gs bike ? I am interested in talking to you folks about a bike project. Left a message on your answering machine, but don’t know how well skype works for this. Is there an email address for contact? I have sent you an email ted. Hi Steve. The best way is to phone. Paul has just returned from a trip. His number is under the ‘locate’ tab. Cheers, stu. Thank you Stu, always a good read. Thought I would give you an update on my Rooney. In August last year 2 litres of water found its way into engine and sump, via the airbox and I sent the bike to Paul to do what needed to be done. Paul described it as ‘sabotage’. Who and why – no idea but it needed to be addressed. Paul has in effect rebuilt the engine (big bore kit etc), gearbox, driveshaft, electrics, front headlight, final drive and more. It was rather exy…. I picked it up 3 weekends ago and boy oh boy is it amazing. It feels tighter, stronger and well … just more amazing. 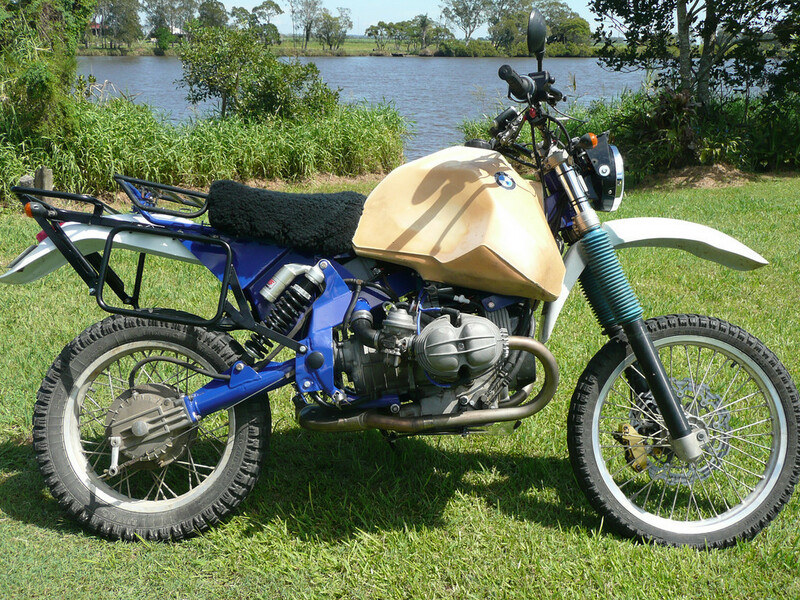 Now running it in and then back to Paul for 1000k service etc., and time to hit the road, dirt tracks and bush again.